Do we need to paint KOTA™ profiles? No. KOTA™ profiles are created using Eastman Cerfis™ Technology, just install as instructed, saving you time and money. Do we use glue or nails to install KOTA™ profiles? You can pin with lost head nails but we recommend you use KOTA™ FIX to glue KOTA™ profiles. KOTA™ FIX is a high quality polymer adhesive with high tack, instant bonding and quick drying properties. I used nails to pin KOTA™ profiles, what do I do about the nail holes? Use KOTA™ FINISH soft wax filler to fill in any nail holes. Simply follow the instructions on the packaging. How do I fill any gaps without caulking and painting? Use KOTA™ FILL to caulk any gaps and fill any joints. 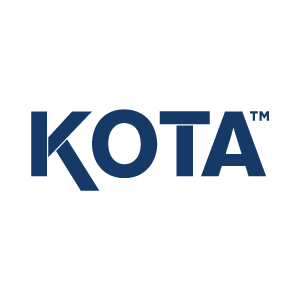 KOTA™ FILL has been developed to work seamlessly with KOTA™ profiles. Follow the instructions on the tube; it dries to a smooth finish. My children have scratched our KOTA™ profile, how do I repair it? KOTA™ profiles are created using Eastman Cerfis™ technology and are extremely durable, if however they become scratched or damaged, use KOTA™ FINISH to repair them, just follow the instructions on the packaging. How do I clean our KOTA™ profiles? Easy, just use water and a damp cloth.